The Advanced Programme speeds your progress with the addition of Instant Herbal Beverage. The programme is based on replacing 2 meals per day with healthy protein shakes as well as having 1 healthy meal per day. 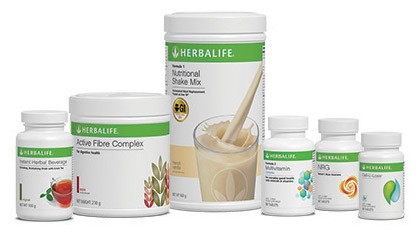 The shakes are boosted with the addition of Active Fibre Complex to assist with feeling full. The additional supplements enhance the weight loss process. The function of each product is described fully below. An excellent source of soluble and insoluble fibre that has a pleasant apple taste. Designed to assist with the maintenance of regularity as well as controlling hunger by helping keep you feeling full..
A high quality Guarana supplement that will give you a natural energy boost. Guarana contains a less aggressive form of caffeine than coffee and is gentler on the digestive system, but still provides an invigorating effect.